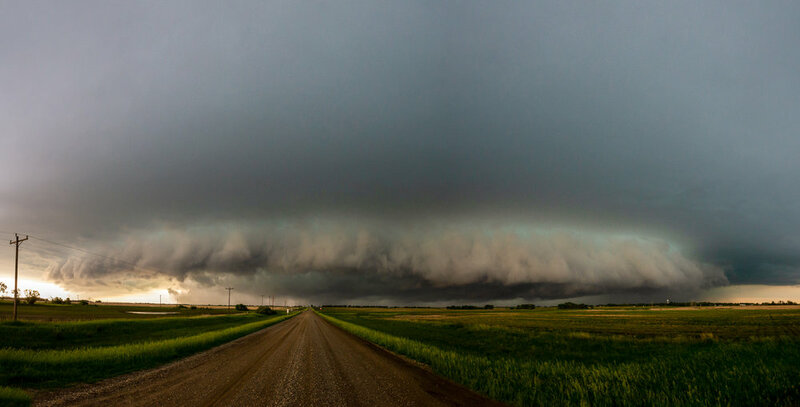 Two-stitch image of a rapidly approaching shelf cloud taken near Portal, ND. 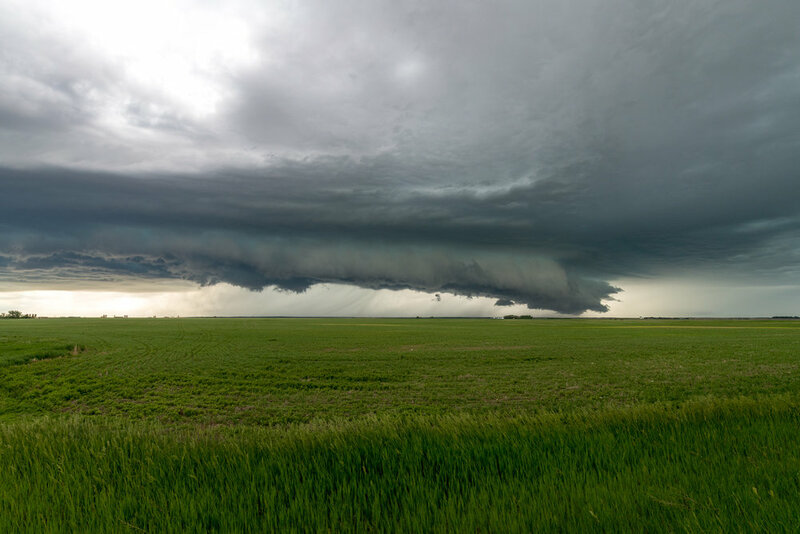 We followed this storm, and another one that developed right behind the initial storm, in northwest ND for a couple hours as they trekked eastward along the US/Canada border. Here are a few images from those storms. We eventually gave up on these northern storms as they were becoming rain wrapped and were moving rapidly. Our next decision was to head south towards other storms that were developing. 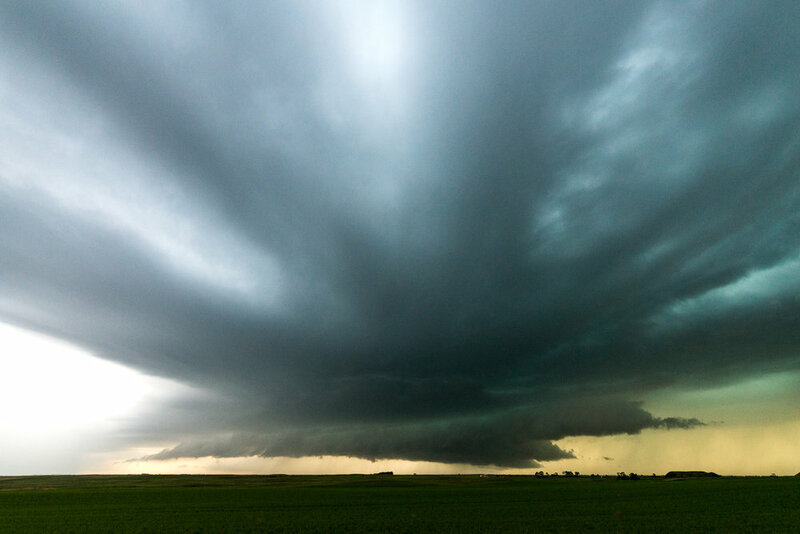 We drove down to Minot, ND and arrived just as one storm was dying out. A few others were going up just to the west, so we made our way to those storms and tried for a few lightning shots as it was now getting dark out. There was very little in the way of cloud to ground strikes from our vantage point, but plenty of cloud-to-cloud lightning lit up the clouds in a cool way. 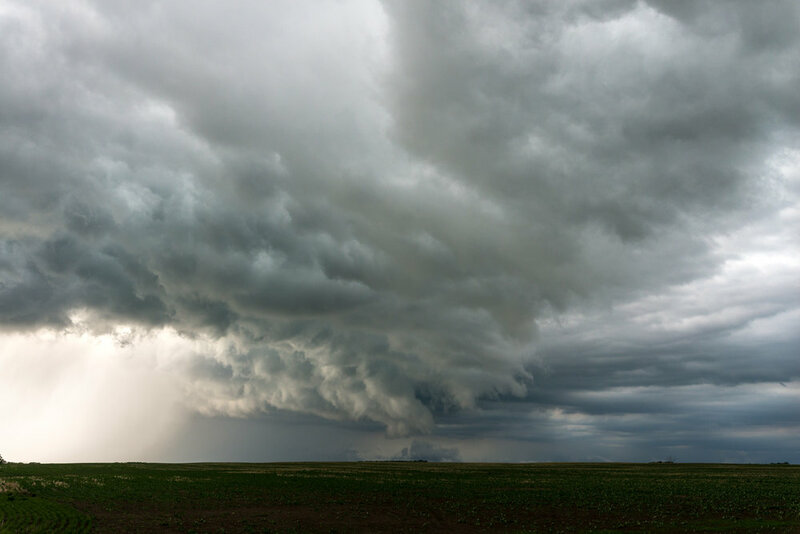 The day started with a lot of potential for tornadoes, but in the end, it didn't pan out. 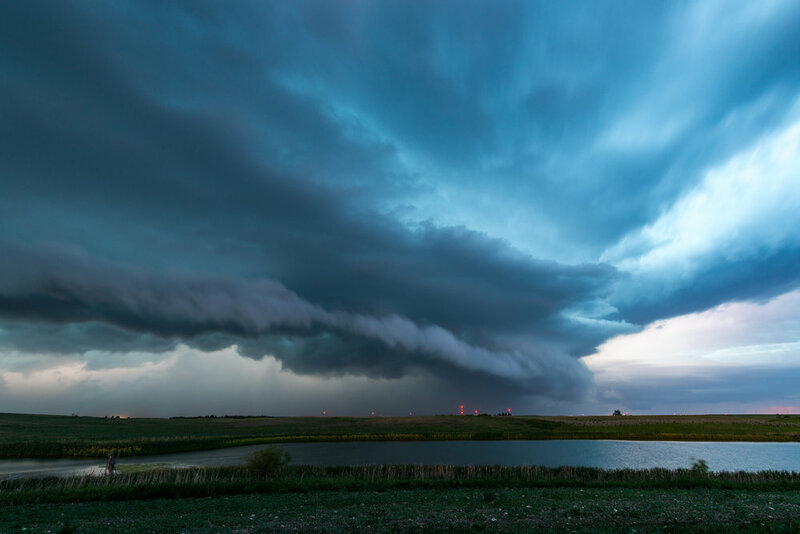 There were some giant supercells that produced incredible hail and nearly 100 mph winds, but the tornado threat wasn't realized.